Find a vector perpendicular to the plane $ABC$. Does it matter which vectors I use? Because my attempt has got the exact opposite sign. Your attempt is basically alright. Take combination ABC and compute a unit normal vector P . Next take combination DBC and compute a unit normal vector Q. 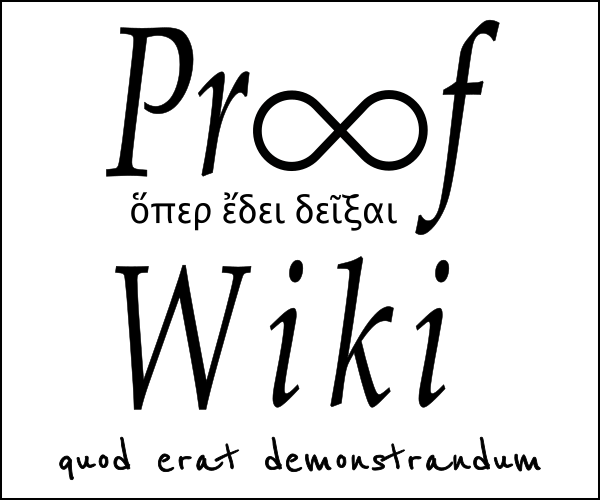 In general, cross product M X N has sign opposite to that of N X M. The product vectors have opposite sense. If P,Q are same then the sense is same, else the opposite sense has prevailed. 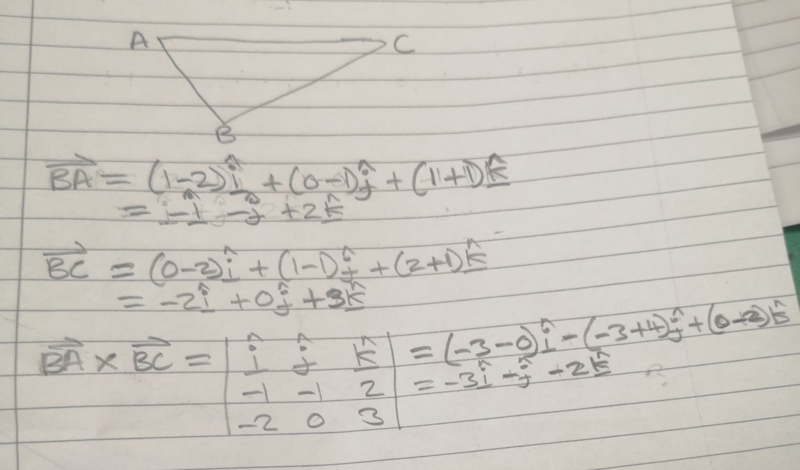 How to find vector that is in the same plane and perperndicular to a side of a triangle? How to find a point a plane? 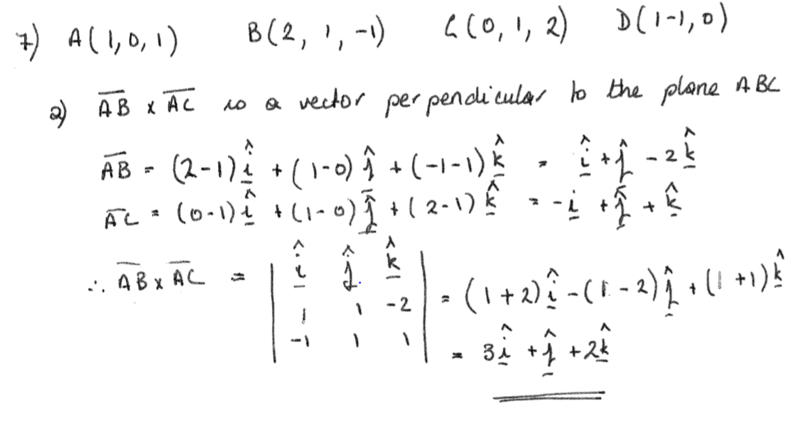 How do I find 4 linearly independent, perpendicular vectors in a hyper-plane? How to find equation of plane given one vector and two points?